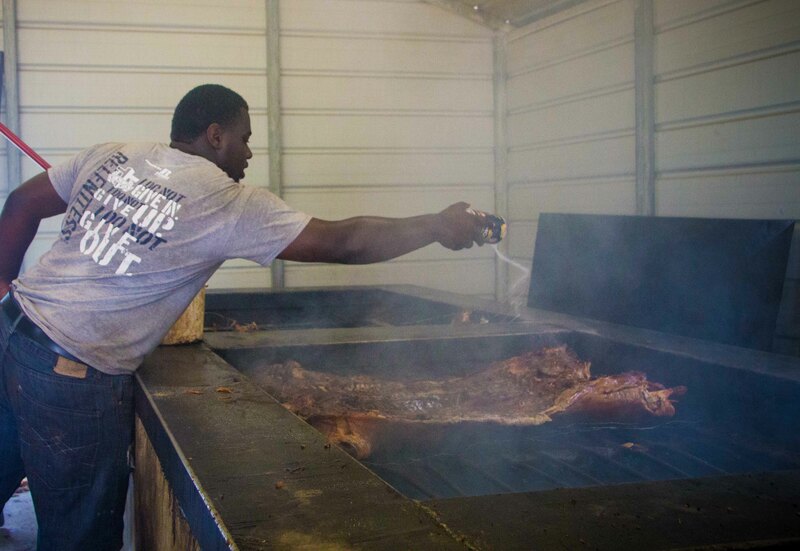 I was originally introduced to (Rodney) Scott’s Barbecue through Chef Sean Brock on PBS’s Mind of a Chef and then later through the Cook It Raw Charleston documentary. 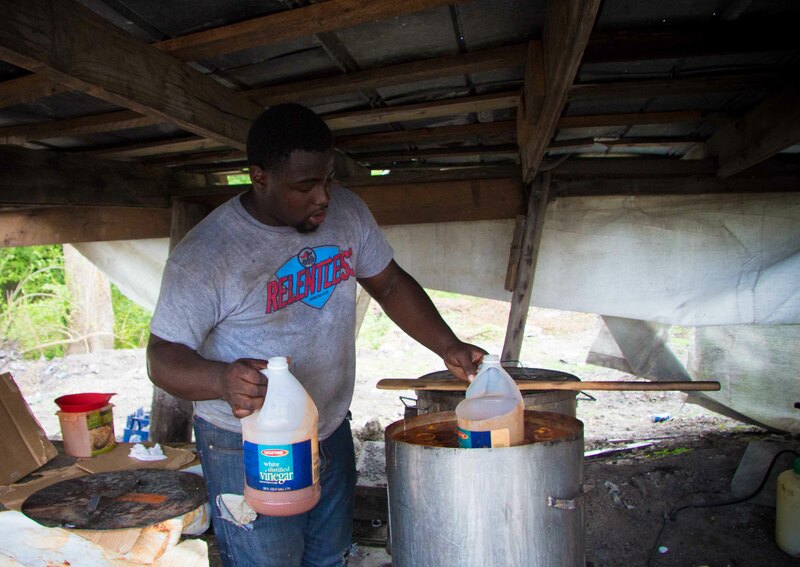 Rodney Scott is known as one of the most respected Pit Masters of the South and only does one thing… Whole hog pit-cooked BBQ. I was intrigued. I wanted to be taken outside of the world of eating that Ive become accustomed to, where cooks are constantly pushing the boundaries on techniques and creativity. 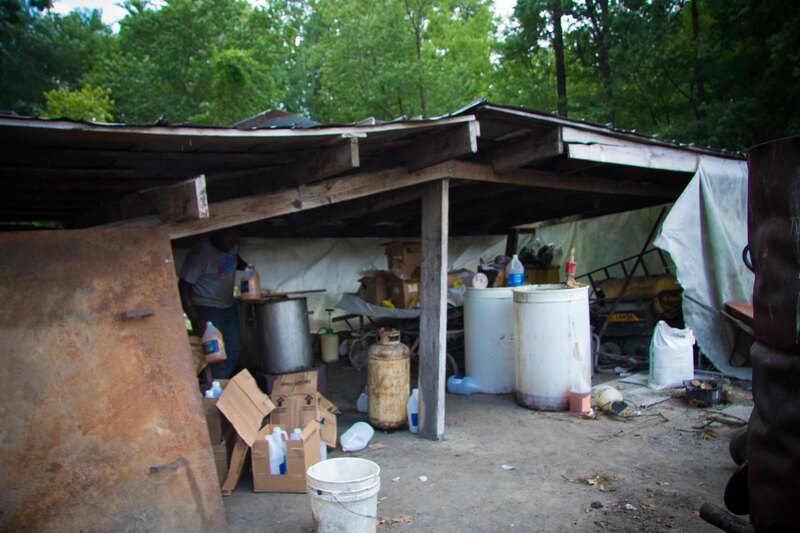 I wanted to go back to the roots of eating, where people eat to live. It’s a basic thought, and in the “Cook it Raw” documentary, when Rodney Scott was asked if he saw himself as creating, he simply answered that “he was just doing the same thing over and over. You look at the world, no matter what goes on, dinner is served.” He explained that he wasn’t sure he consciously ever made a decision to become a cook, but he just gravitated towards what he had grown up doing because food is what he loves. Such a basic thought, but enough to convince me to get into the car and drive over an hour and a half outside Charleston to a small town called Hemingway. As I made the drive, I pondered the proclamation of anything as “the best”. 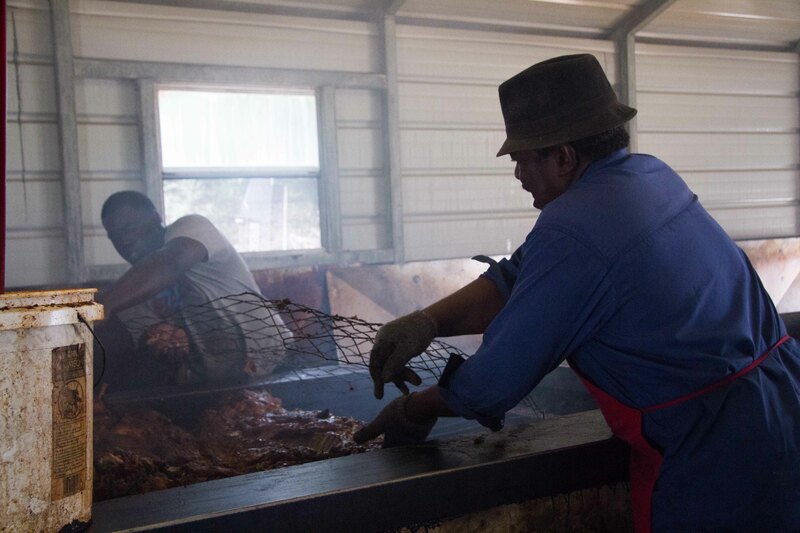 Much like pizza, barbecue is such a personal thing. What one adores, others may shun. With so many schools of thought; whole hog, shoulder, ribs? Pork or beef? Dry-rubbed or wet? Vinegar-pepper sauce versus mustard-based versus the ketchup-y stuff? 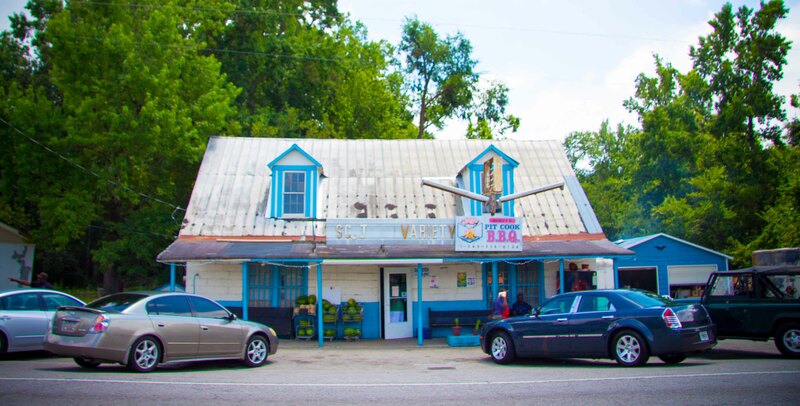 There are so many variations of barbecue, I knew that if I went to Scott’s with the expectation of “the best”, there was a high probability of being disappointed. I was confident though, that this was going to be an amazing experience. Hemingway, South Carolina was exactly how I pictured it. Not that there was much to picture. 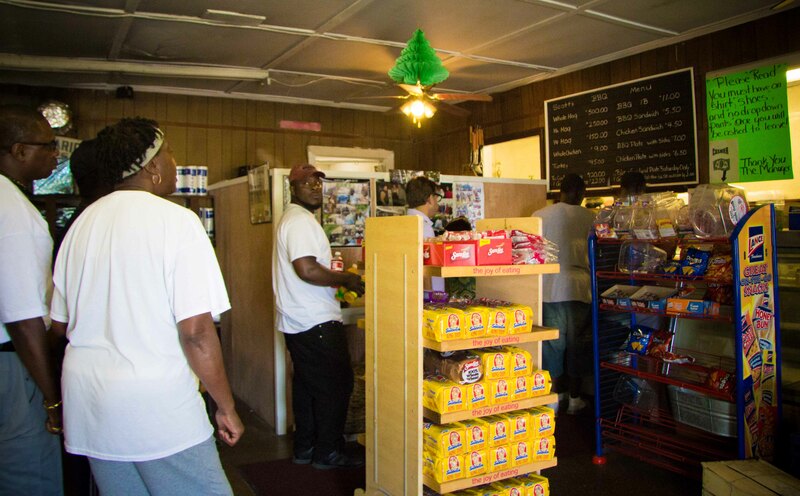 With a population of under 500, I’d say in the hour I was at Scott’s BBQ, I probably saw over 10% of its townspeople rolling in and out of the small under-stocked store selling BBQ from the back. I was jazzed to see they used the same Sunbeam bread that I grew up on. 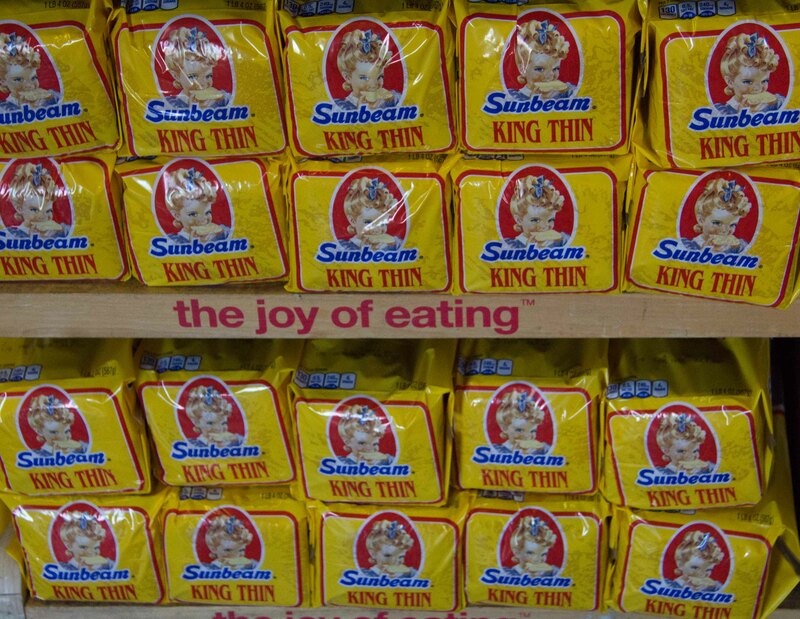 The completely processed white Sunbeam bread brought back memories of my childhood. 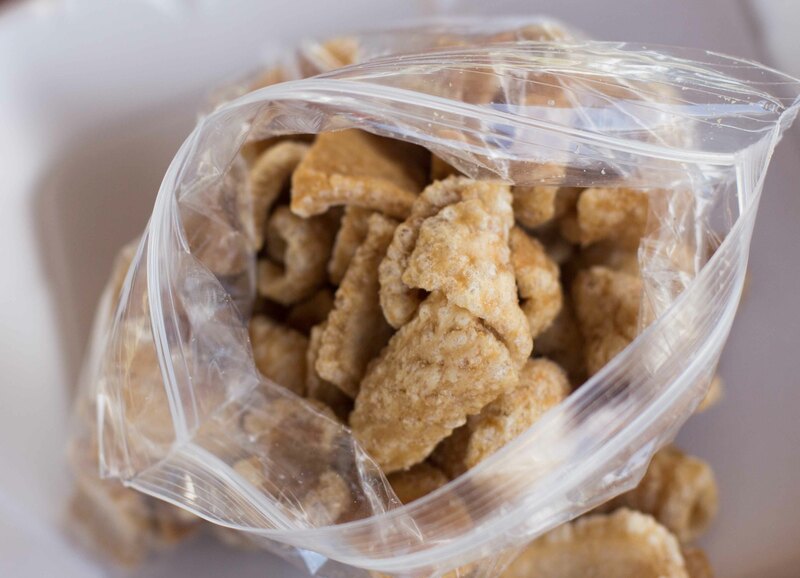 And of course I had to throw in a bag of fried pork rinds. From the research I did, I knew to order the BBQ sandwich and to ask that they throw a piece of skin on top. The BBQ pork was moist, flavourful and beautifully smoky. You could tell a lot of love went into cooking that pig. The meat was all mixed up, so with each bite you get a different combination of textures. I dug through the porky goodness to pick out the moist chunks of meat which I enjoyed more than the strands. I kept nibbling at the crunchy and caramelized skin. It’s the kind of thing I knew was so bad for me, but worth the extra night of kale salad (no dressing) I’d have to eat to make up for it on my return home. What blew my mind and sent the whole experience into orbit was the vinegar pepper barbecue sauce that accompanied it. I couldn’t get enough of it. It was zingingly acidic, had a wonderful creeper heat and so much depth of flavour. I kept eating way past full, just so I could continue tasting the sauce. 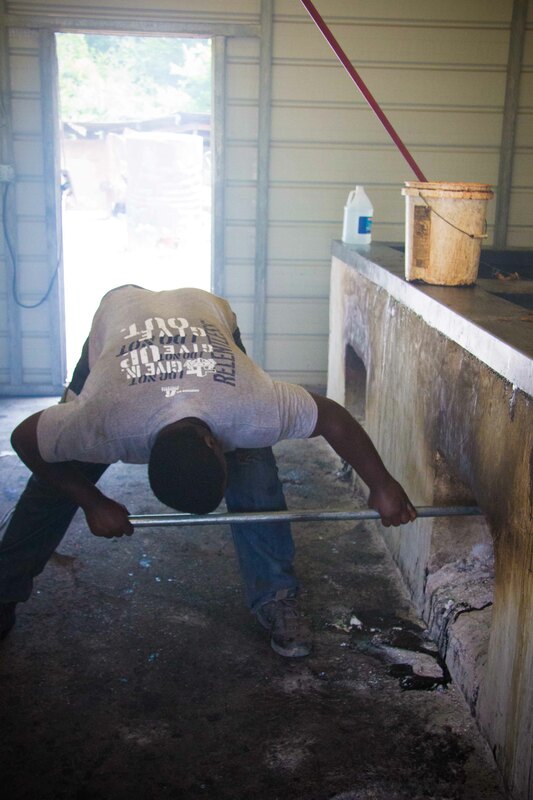 After I was finished, I wanted to peek at the smoky pits where the magic happened. I cautiously approached out back, asking if I could take a few photos, and before I knew it, I was being given the full tour. 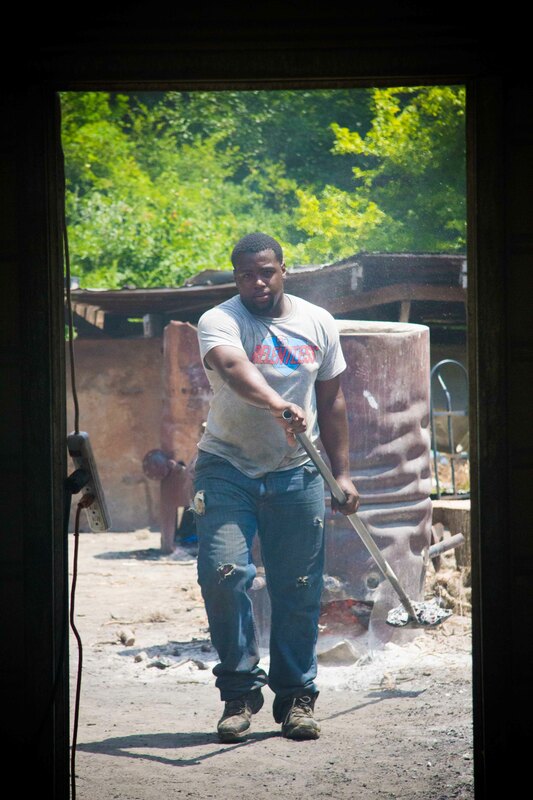 Rodney wasn’t around that day, but a wonderful young man by the name of Olajuwon Gordon did a fantastic job taking me through the process. I was lucky enough to be there when they were hauling a pig to the kitchen and flipping another on the pit. 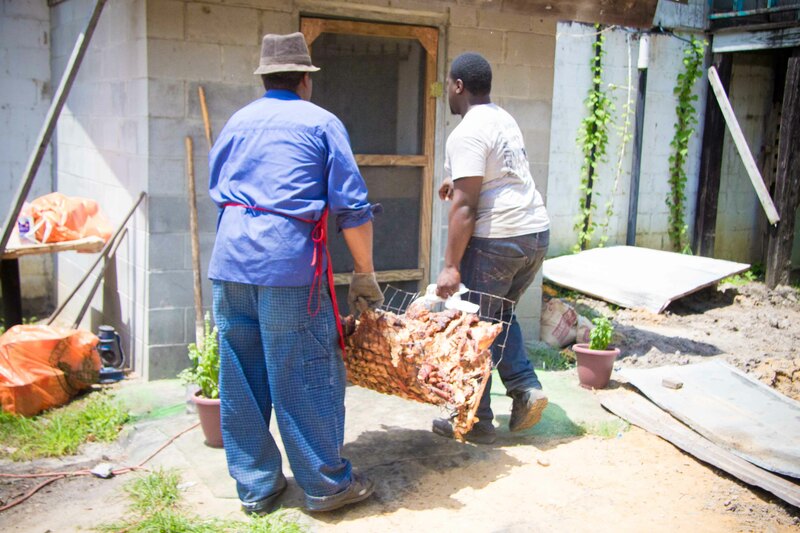 The cooked hog is taken into the back of the kitchen where the bones are taken out before being served. Delicious nuggets of meat spilled along the ground as they were hauling the pig across the yard and I had to use all my will power not to pick up the meat and put it in my mouth. For some reason, I didn’t think the 5-second rule applied in this setting. 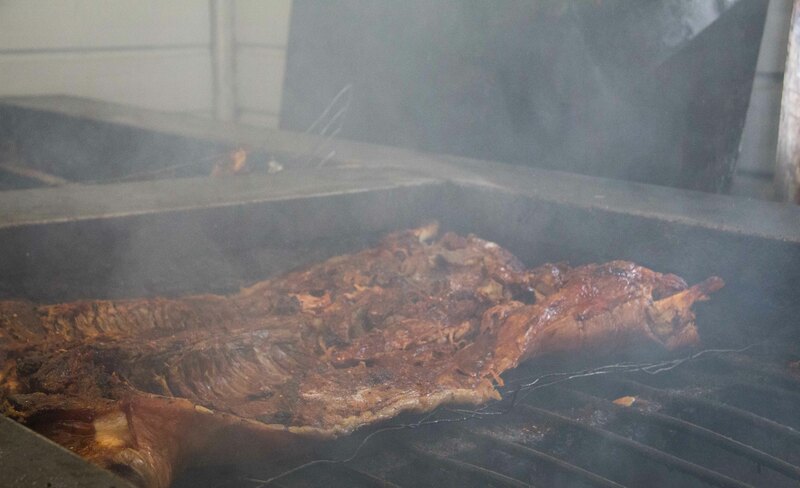 The pig split and placed meat side down on a rack above the coals for 8-12 hours. The slow roasting of the meat allows the smoke to simmer through and the flavour of the wood to permeate as it cooks. Flipping the hog is a 2-man job. The skin is down and then the real work (or love) begins. Olajuwon, or Won as he likes to be called (and not Juan like I thought he was called), takes tongs and a spoon and starts breaking up the meat, careful not to pierce through the skin that’s crisping nicely over the coals. 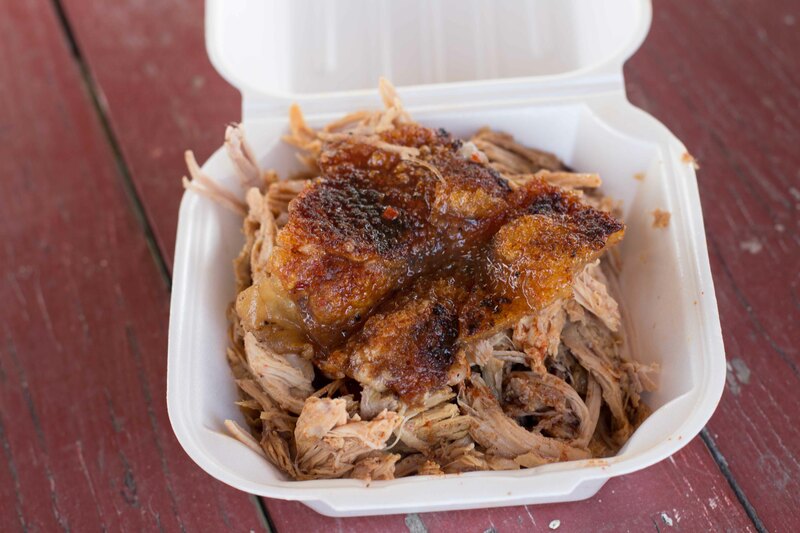 The hog is so tender that the meat just pulls away from the bone. I stand over the pit and take in its smoky goodness. Just like Rodney, Won has been doing this since he was 10 years old. He’s now 19. This is pretty much all he’s ever known. Seasoning the pig with what appears to be a very generous amount of salt and other spices. I’m shocked at how much he’s using, but then realize it’s a 150lb pig he’s dealing with. 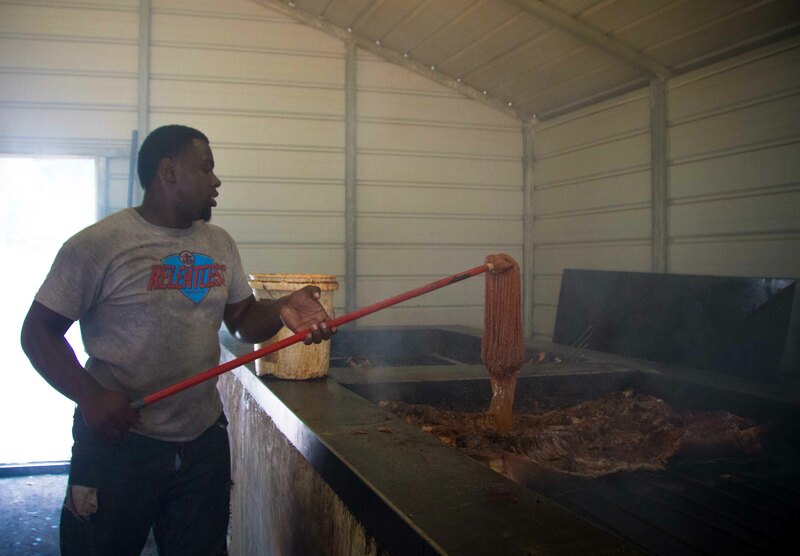 After the pig is seasoned, I follow Olajuwon out back, where the secret BBQ sauce was brewing in the shed. From the copious amounts of pepper, vinegar and cayenne pepper containers and the lemons floating on the top of the batch, I got a bit of an understanding of what went into the secret sauce. The sauce is mopped (literally) all over the pig. 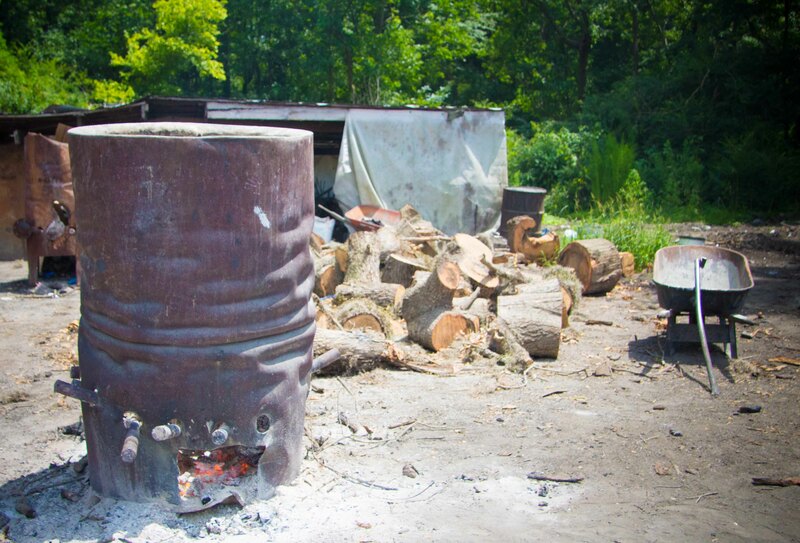 The old steel drum, referred to as the “burn barrel”, is where the wood that Rodney has sourced, cut and split himself is added and left to smoulder. 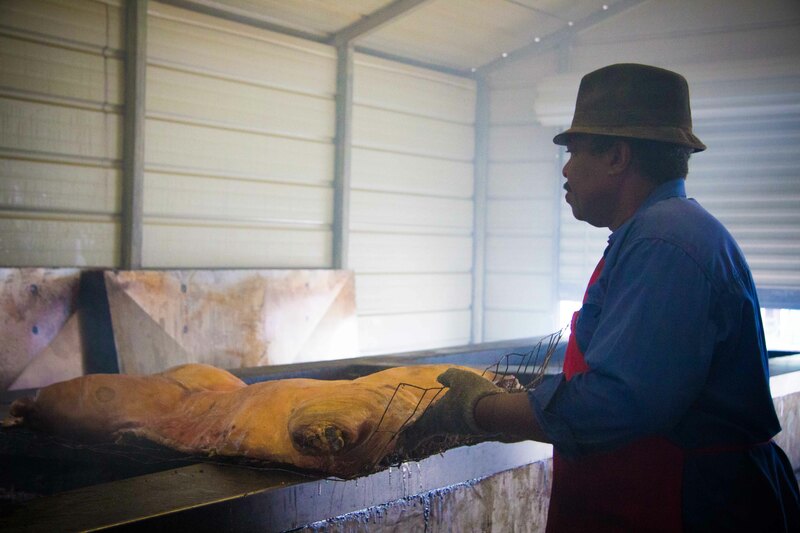 The charcoal embers that fall to the bottom are used to cook the pig. It’s a careful balance of making sure there’s enough heat, but not too much that the dripping fat from the skin causes flare ups. Coals are carefully placed in the pit in the 4 corners and down the middle. The sauce starts bubbling up, which is what Won refers to as “love” and continuously spooned over the meat. Won continues to break up the meat and mop on the sauce, so that all the meat is deliciously coated. 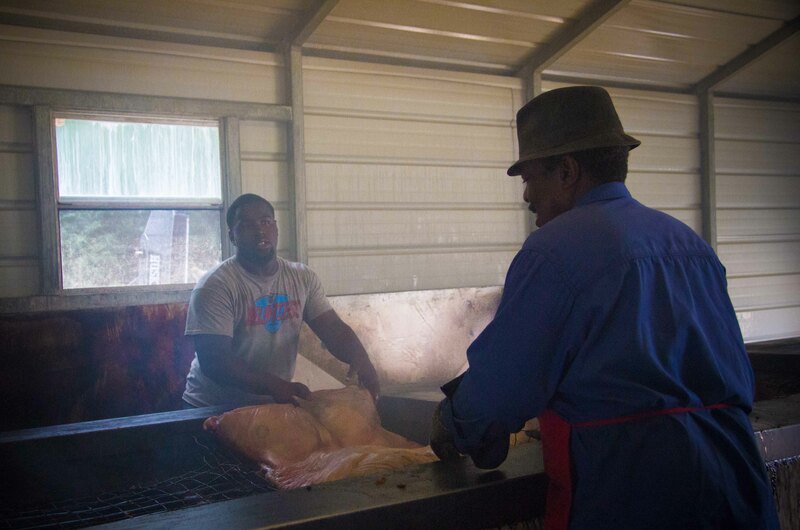 Before I left, Won treated me to a piece of meat pulled gently from the backside of the hog sizzling over the grill. It was just one taste, but the hot, smoky, tender piece of meat with a hints of the seasoning that hit my mouth was the best taste of barbecue I’ve ever eaten.